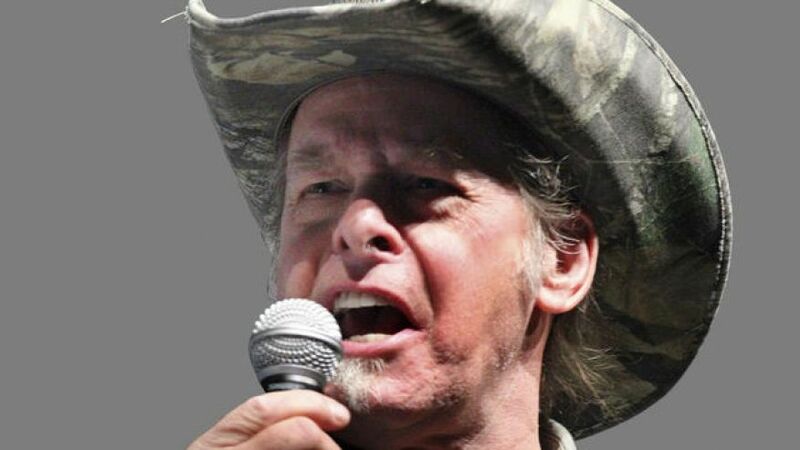 Ted Nugent took a break from making graphic, violent threats against President Obama in his latest column. Instead, yesterday Nugent just compiled a list of tired right-wing talking points — Benghazi! Food stamps! Trayvon Martin! — and demanded to know why everyone isn’t angry with Obama. As the dumbing down of America races out of control at supersonic velocity down the uncharted highway to fundamental transformation hell, one does not have to look very hard to find examples of the human species plummeting into the abyss of soulless and dishonest indecency. It is heartbreaking and downright disastrous that it goes all the way to the top. When zombies are bribed or bludgeoned continuously with repetitious brainwashing propaganda, there clearly are enough Americans who have sold their souls for the lies and scams of this criminally corrupt administration and their scam of redistributed earnings of others. Fast and Furious, anyone? Fort Hood “workplace violence,” anyone? Solyndra, anyone? Benghazi, anyone? Fundamental transformation, anyone? Trayvon Martin could have been my son, anyone? DREAM Act invitation to invade America, anyone? “All of the above” energy policy, anyone? Police acting stupidly, anyone? Campaigner fundraiser in chief, anyone? You can keep your doctor, period, anyone? You can keep your current health-care plan, period, anyone? Visiting all 57 states, anyone? Golfing while the world burns, anyone? The most transparent administration ever, anyone? Eliminating wasteful spending Mr. Foodstamp president, anyone? Obamacare will save you money, anyone? You don’t have to read this, you need to sign it to see what’s in it, anyone? I’ve got a pen and a phone, anyone? I’m the president I can do whatever I want to do, anyone? With lie-infested talking points scripted to perfection, the Fedzilla scam masters trotted out snake-oil saleswoman Susan Rice to try and hoodwink the American public into believing the Benghazi massacre was the result of a YouTube video. The obfuscation and smoke and mirrors of this administration know no bounds. And the zombies just keep on falling for it.